Not only does the Celebration of Motorsport mark the end of the 2018 CASC road racing season, it also launches the championship for 2019. This year’s Pirelli GT Sprint championship will conclude on Saturday with qualifying and race one. Points scored on Sunday for races two and three will count towards the 2019 championship. Having only two weeks to prepare the car since the previous race weekend, team driver Pauly and mechanic Andy decided to fine tune the car with minor adjustments. Right away, I noticed the carbon fiber hood, lighter rear wing and a wider rear diffuser. The white and black colour scheme flooded me with nostalgia of the iconic EK9 Spoon Honda Civic Type R.
Braking issues from previous weekend has been solved with a new brake master cylinder and booster. However, Pauly now has to learn how to modulate a much more sensitive brake pedal. 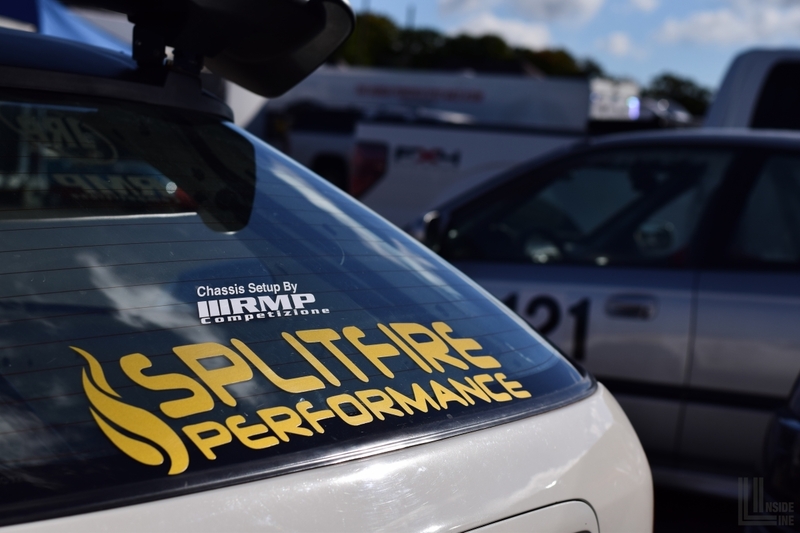 After speaking with RMP Competizione at previous race weekends, 771 Motorsports brought the Civic to them for a more aggressive alignment and corner balancing. Unfortunately Pauly wasn’t able to push the car hard during practice to test the setup. Grip level of the track was less than optimal due to cold temperature and dampness from the rain overnight. Without rain tires, the team was hoping the track will warm up and stay dry throughout the weekend. Luckily for Pauly, the track was slightly warm by the time qualifying started shortly after 11:00 AM. He was able to get some heat in his tires and set a 1:38.486 lap time. Slower track conditions and worn tires prevented Pauly from fully exploiting the new setup. He still managed to qualify in third place behind the usual front runners. 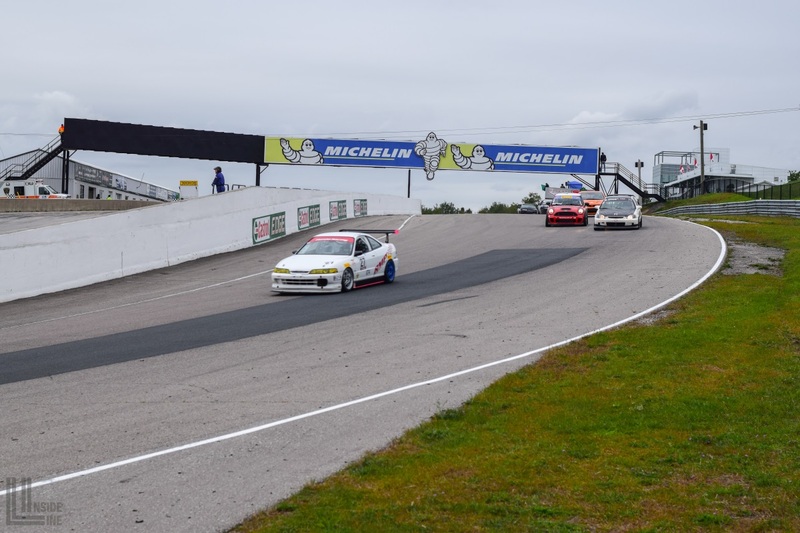 Demi Chalkias took pole position with a 1:36.437 in her BMW E36. 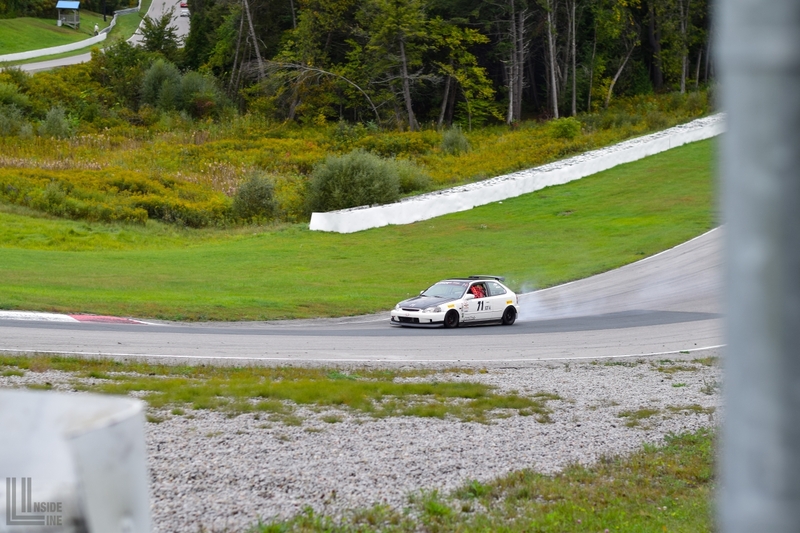 Not far behind her was John Dipchand Jr. and his Acura Integra Type R trailing by 0.3 seconds. Due to the low car count for the GT Challenge endurance race, CASC decided to run a combined race with the Pirelli GT Sprint. 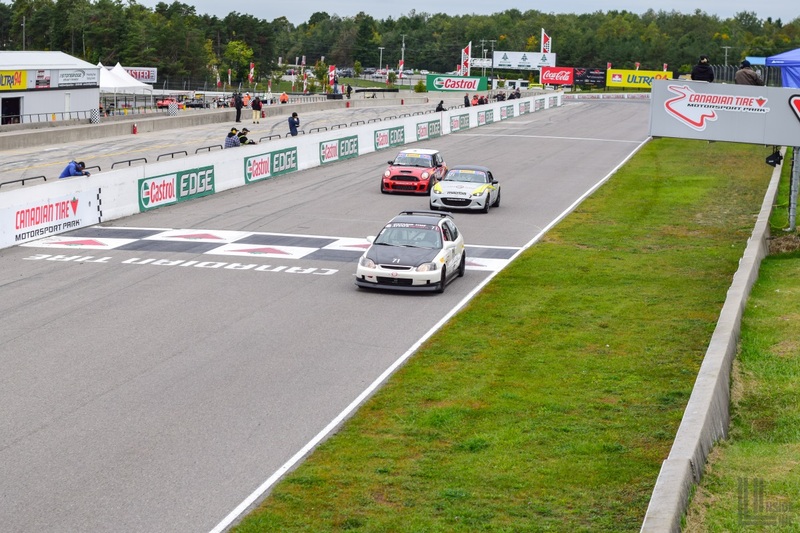 At the 30 minute mark, a checkered flag will end the Sprint race. The Challenge enduro will continue to run for another 60 minutes. John took off quickly right from the start of the race and passed Demi early on. 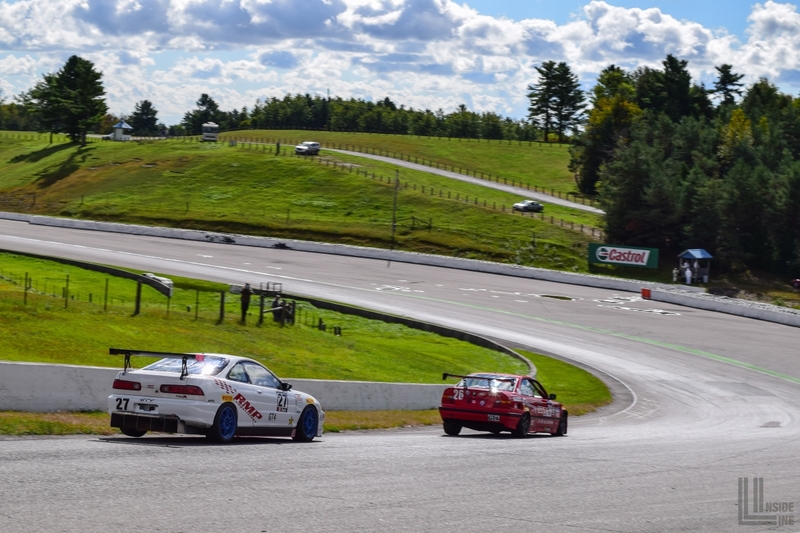 The Integra Type R and E36 were neck to neck for the entire race, but the Acura crossed the finish line in first place with the BMW following closely in second. Pauly ran a steady race, finishing in third position and successfully held off Emily Atkins in the 1994 BMW M3 (E36). 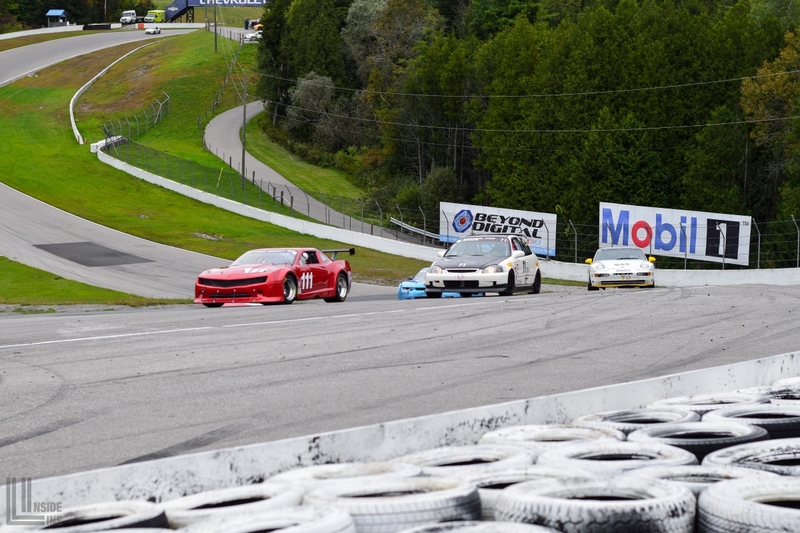 GT Sprint drivers have the option to stay on track past the 30 minute mark, but no additional points will be awarded. 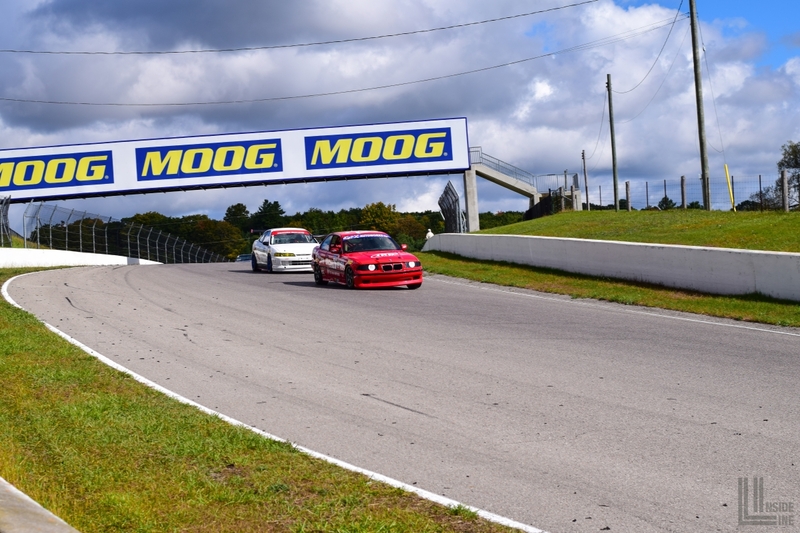 Pauly was locked into a battle with Marlin Langeveldt in the Mazda MX-5, so they decided to stay out for a few more laps to settle who will have bragging rights. 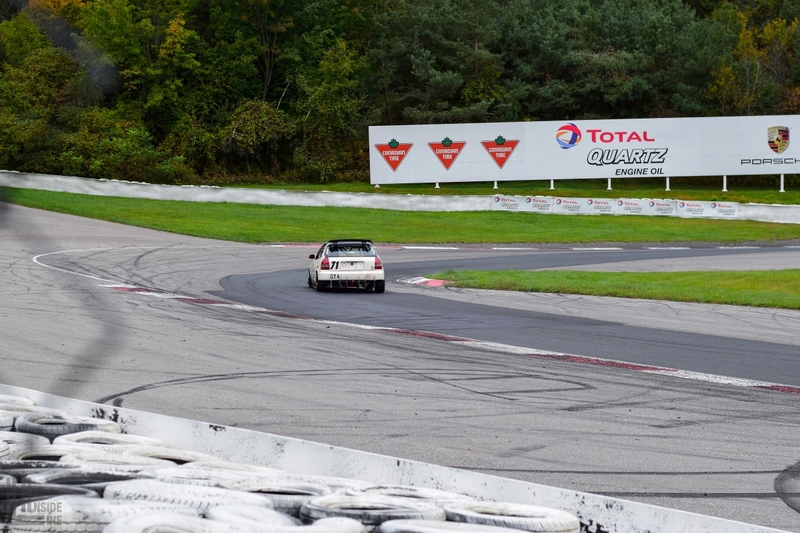 On the front straight, Pauly lifted early to let some of the faster cars pass. Marlin saw an opening and took the inside line into T1 to pass the Honda at full speed. After chasing the rear-wheel-drive Mazda for a few laps, Pauly pulled into the pits to preserve the car for Sunday’s races. 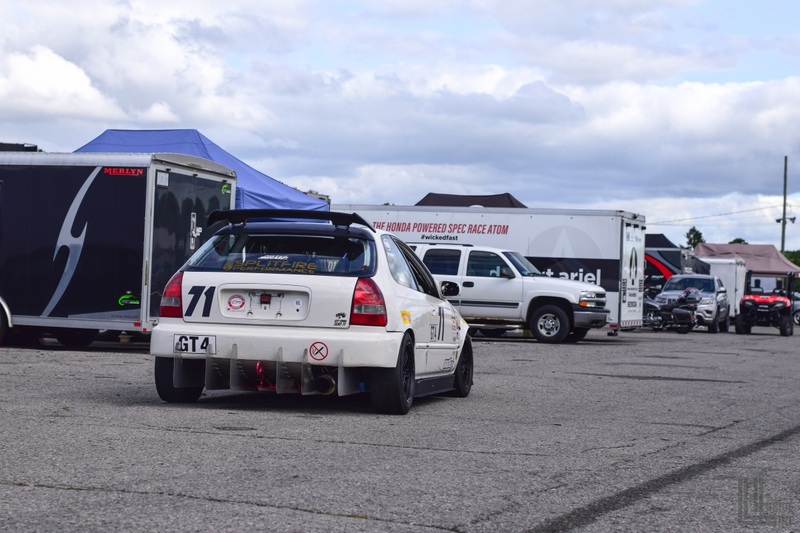 Back at the paddock, 771 Motorsports celebrated their first season in wheel-to-wheel racing. Even though they only had three race weekends under their belts, the team has shown remarkable progress in terms of driver development and car setup. 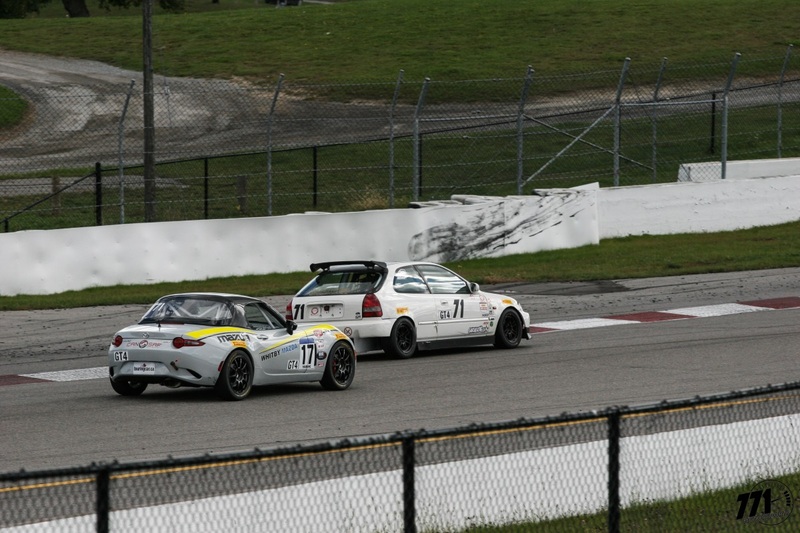 771 Motorsports finished fourth place in the GT4 class of the CASC Pirelli GT Sprints. Demi Chalkias won the championship and John Dipchand Jr. finished in second place. 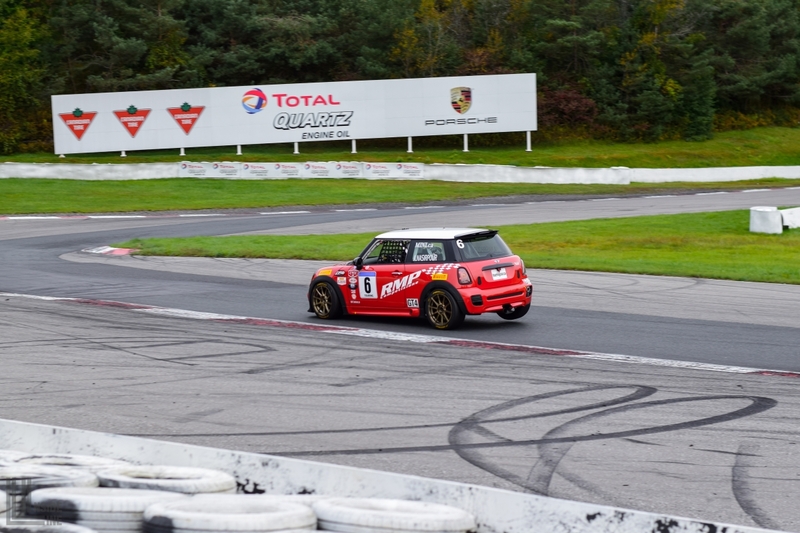 Ali Nasipour and his MINI Cooper S took home third place. Ali decided not to race on Saturday because his position was already secured before the Celebration of Motorsport weekend. After securing fourth place in GT4 of the 2018 Pirelli GT Sprints series, 771 Motorsports is focused on the 2019 championship. I met Peter Carpenko when I arrived at the paddock Sunday morning. He was dropping off a new bucket seat he sold to Pauly. As I watched him check the height of various tires in the pits with a tape measure, I had a feeling he knew a thing or two about racing! Turns out my instinct was spot on. Peter is a CASC veteran that usually runs a Volkswagen Corrado VR6. He quickly became an unofficial consultant for 771 Motorsports as he helped Pauly and Andy with car setup. One of the suggestions from Peter was to soften the dampers. 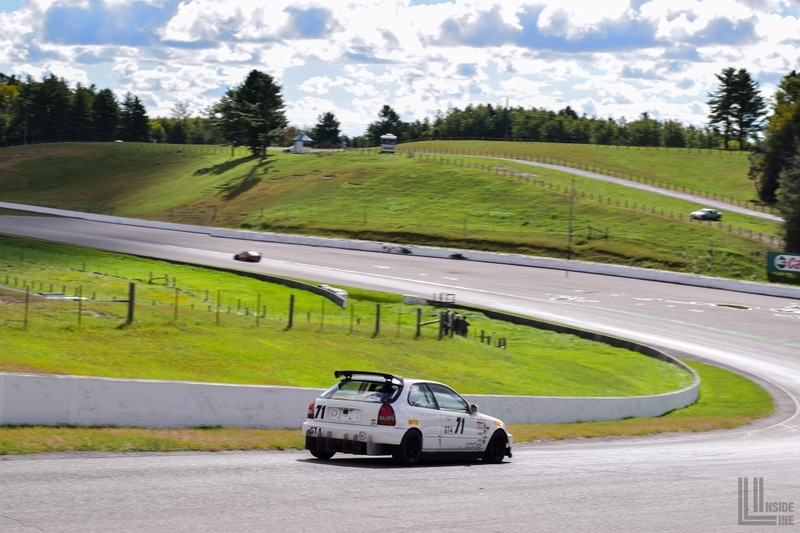 In his experience, stiff dampers are not ideal for tracks like CTMP with large elevation changes. Back on track, Demi move up to the faster GT3 class for 2019. 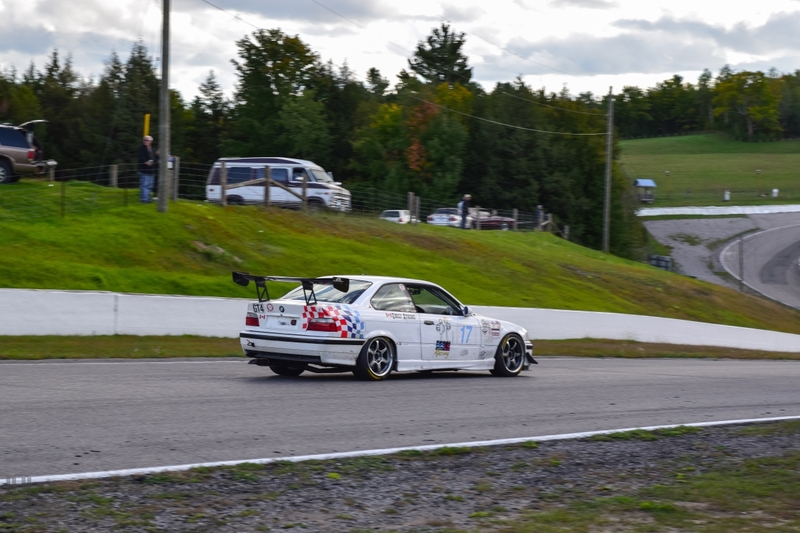 With her BMW out of the way, Pauly is now starting second on the grid behind John’s Acura Integra Type R.
Near the middle of the race, John was forced to pull back into the pits due to mechanical issues. This allowed Pauly to take the lead in GT4. The race far from over though. Starting from the back of the grid, Ali Nasirpour jumped up nine positions by lap twelve in his MINI. Despite the admirable effort, he was unable to pass Marlin’s Mazda MX-5 to challenge the Honda. 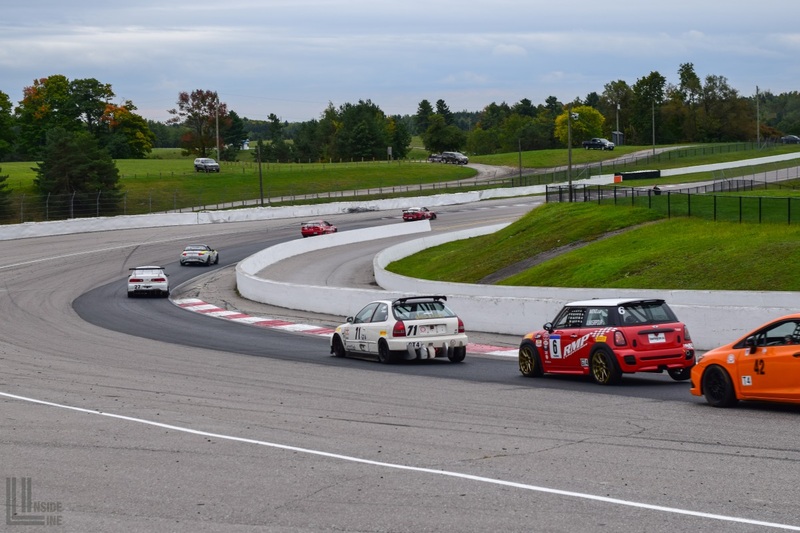 As the 771 Motorsports Civic crossed the finish line, Pauly started off the 2019 championship run with his first ever CASC Pirelli GT Sprint race! The win did come at a cost. The 771 Motorsports Civic took some damage after going three-wide into T5 with a Camaro and Porsche 968! Starting in pole position, Pauly was still riding high on his first race win. This race is far from an easy win though though, because Ali and John are starting right behind him. 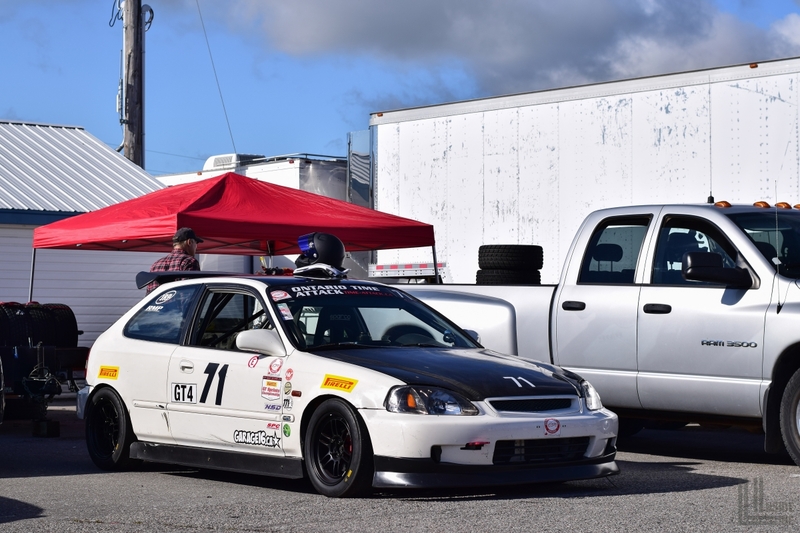 As expected, John’s K20 powered Integra Type R stormed out of the gate and took an early lead. On his way to the front, John bumped into the back of Pauly’s Civic, bending his rear diffuser fins. As they say, rubbing is racing! 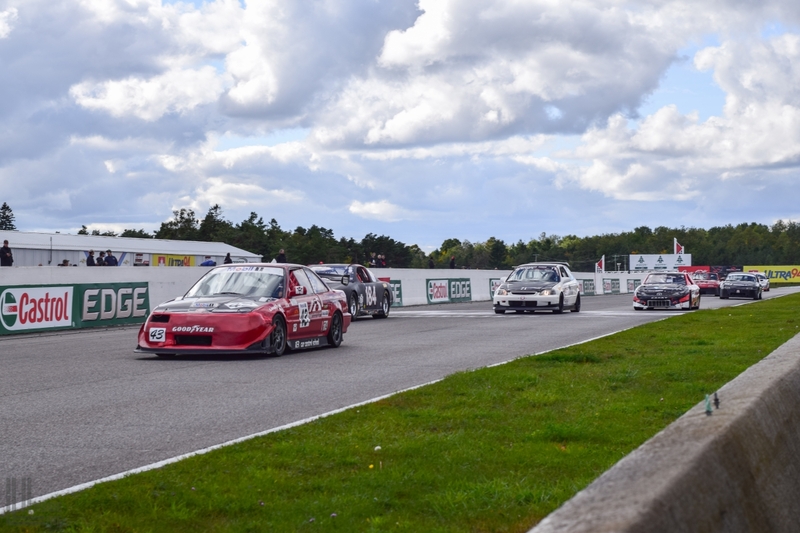 Ali overtook Pauly on lap four and ran a very consistent pace over the course of the race, gradually pulling away from the Civic. Despite being down on power, Pauly was still able to finish on the podium in third place. 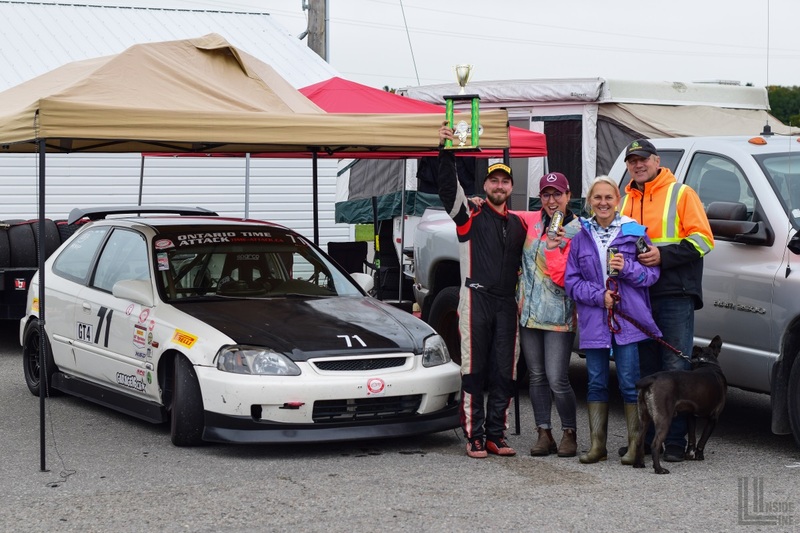 The Plewa family that forms 771 Motorsports (from left to right): Pauly (driver), Katherine (manager), Judy (nutritionist) and Andy (technician). 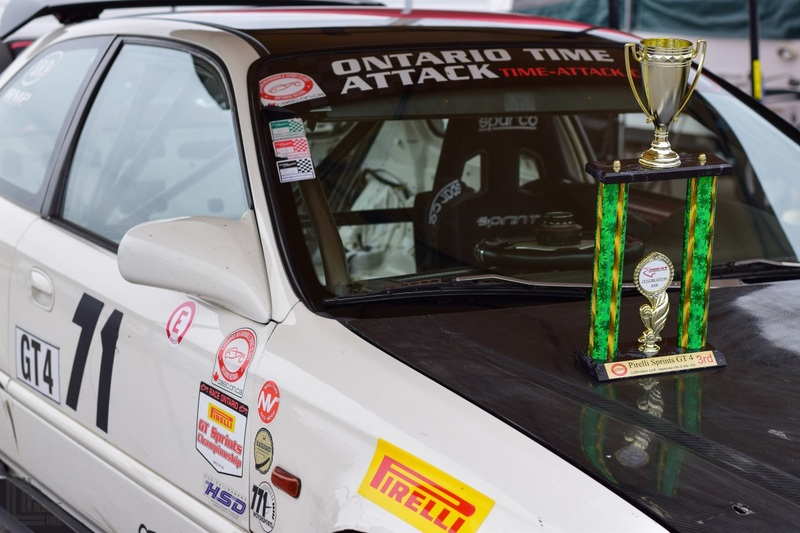 The Celebration of Motorsport weekend not only concluded the first wheel-to-wheel racing season for Pauly and 771 Motorsports, it also launched a successful 2019 campaign for the team as they celebrated their first win on Sunday. It was incredible to see the team’s progress over the course of a couple weeks. Pauly is gaining more confidence with every race and the team gained a massive amount of information on car setup. The B20V motor served its purpose well, but a new engine is in the plans for 2019. In addition, further aero upgrades and chassis reinforcement are also in the works, along with the sturdy racing seat that Peter dropped off. 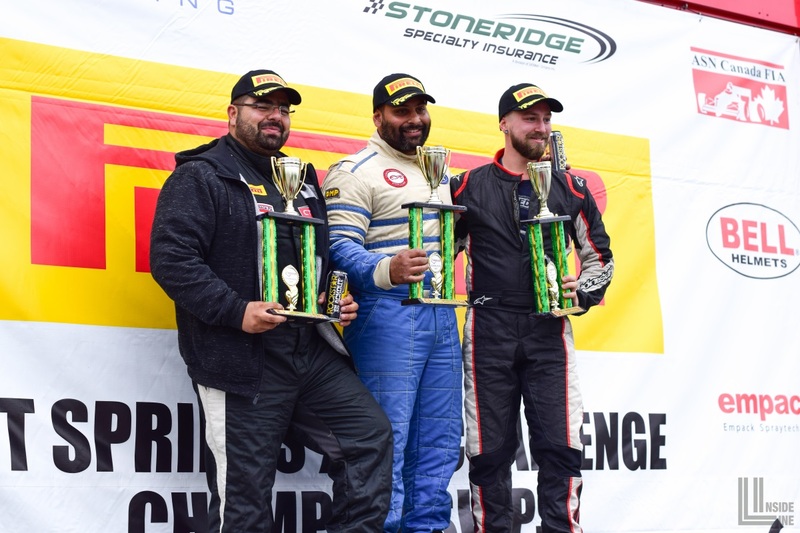 After finishing fourth in the 2018 CASC Pirelli GT Sprints Championship competing in just three out of the total six rounds, the team is off to a great start for 2019. It is incredible to see Pauly racing again considering he was paralyzed in a wheelchair just six years ago with less than 2% chance of recovery! 771 Motorsports plans to return to the CASC Pirelli GT Sprints next year to build on their success in 2018. Now that the team had a taste of victory, they will certainly be aiming for the GT4 title next year! Congratulations guys and great team work ! Good luck next season.